Last weekend, APEX celebrated their 10 year anniversary with an Open House event. To join in and support the wheel vendor, we brought out our M2 and a customer's Jahre 30 F80 M3 to display. 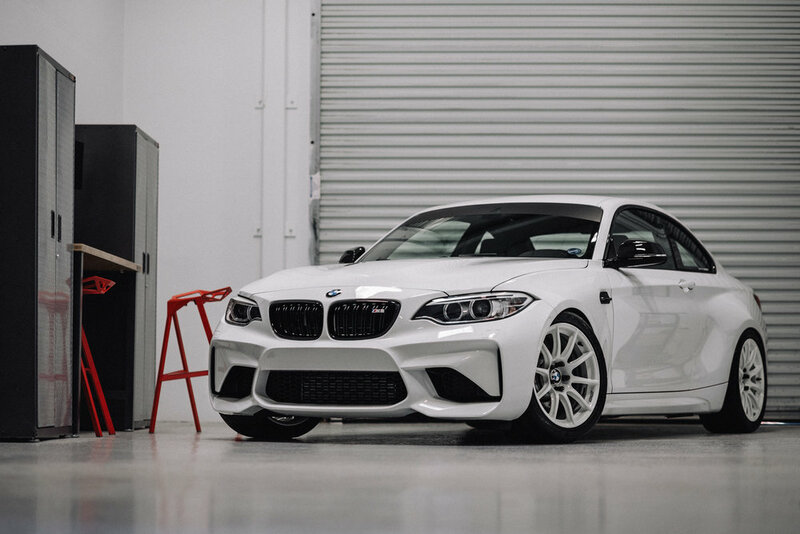 APEX provided us with a square set of their new 18 x 9.5" SM-10 wheels for the M2. 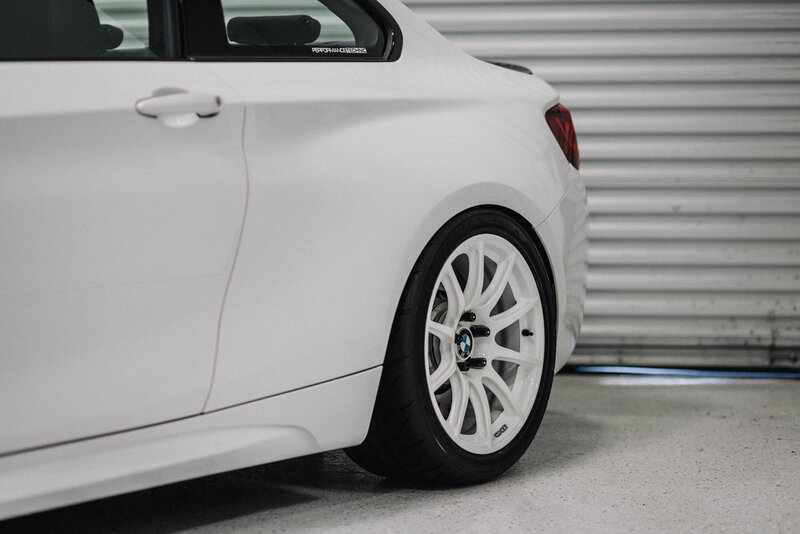 To give the car more of a general 90s throwback look, we color matched the wheels Alpine White with a clear powdercoat to make them stand out. Below is a gallery of the car as it was for the Open House event. In addition to the wheel swap, we also installed several new interior / cosmetic upgrades, such as the M Performance steering wheel, Euro sun visors, black exterior M2 badging, center console dry carbon fiber, and exterior reflector deletes. A big thank you to MMI Vehicle Systems and IND Distribution for these parts!